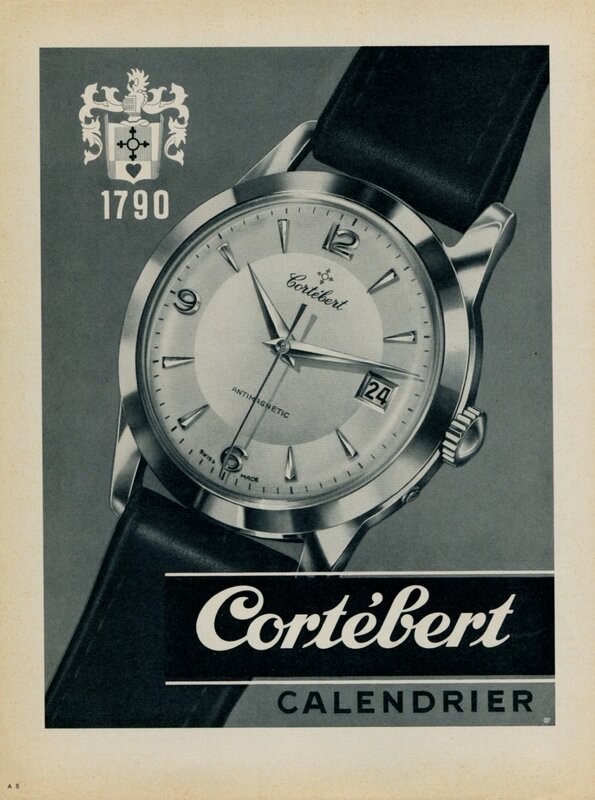 Original full-page Swiss magazine advertisement from the year 1955 for Cortebert Watch Company, Switzerland. Advertised on the page is their Cortebert Calendrier watch model (NOT included). The advertisement was carefully removed from a Swiss magazine. The page measures approximately 7 5/8 inches wide by 10 1/4 inches high (including margins).